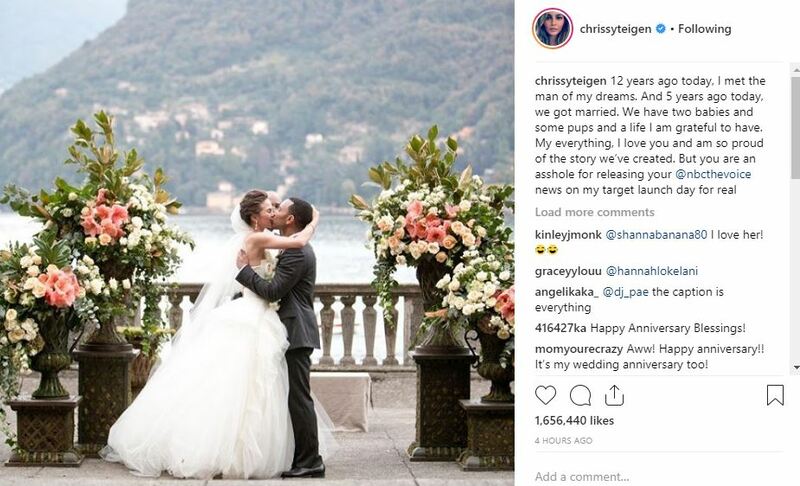 Singer John Legend and his wife chrissy Teigen are celebrating their 5th wedding anniversary, Chrissy decided to celebrate the anniversary by roasting her husband John Legend. The star shared an adorable picture to her 20million followers, which showed Chrissy kissing her beau on their wedding day. However, despite the sickly sweet caption that followed, the model took the opportunity to troll her hubby.